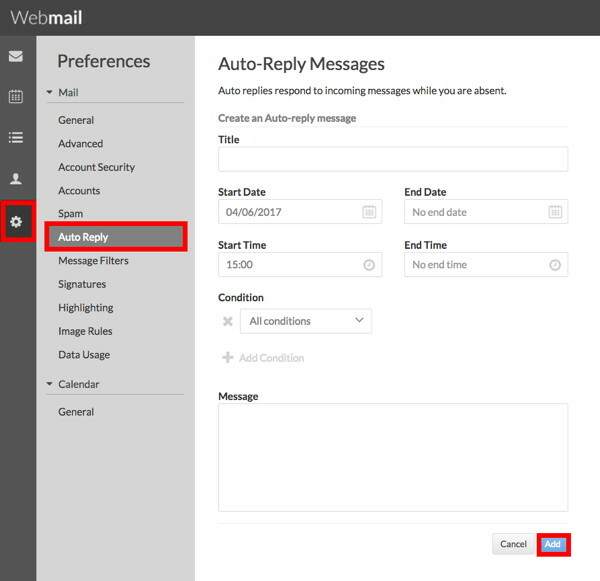 Log in to Webmail using the email address for which you wish to set up Auto Reply. Click on the gear icon in the dark gray margin on the left. Click on Auto Reply in the Preferences column. The Title is for the Subject Line recipients will see. Set the start and end dates, and specific hours if desired. Enter the text you want in the message field. All Conditions can be left as default unless you know the options you want.